Aww they sound cute. It's nice that the plants give money. I am working on the spring event on animal crossing. Haven't done much of it since I was so sick but now that I feel better today I might actually do it more often. I mostly stayed in the living room watching tv and barley touched my computer. So trying out bushwhacker might not of worked too well since yesterday the light from my monitor made my eyes water alot. I have to try to train my eyes to get used to my glasses again. Right now they want to water from wearing them. So I'm going to slowly try to get them used to them again. But at least I can breathe on my own finally. So that is a huge plus. They give money, seeds (some of them give seeds to other, rarer, plants), crafting materials, and sometimes treasure cards (which are single use cards). Some give housing items. I hope it's fun. Do you have some cute clothes for your character? Ohhh. Yeah. That wouldn't have worked. I'm glad that the plants give such a diversity of items. That's really good. I have some cute items for her to wear. I'm working on finding something to go with the new fortune cookie they brought out. A fairy like outfit, but not that easy. My eyes couldn't handle the glasses. Even in darker light. So I'm hoping for today to be able to wear them. It would be nice to finally do something. 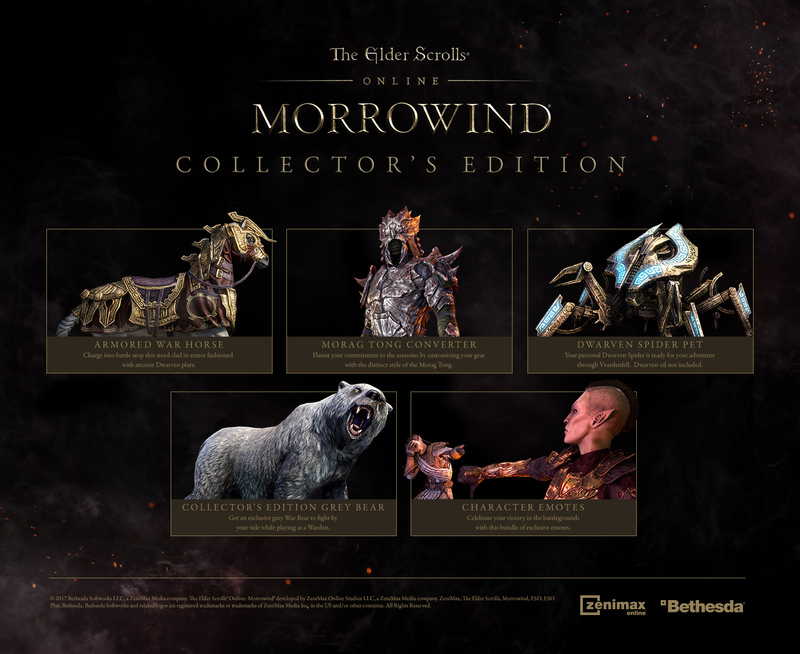 Hubs yesterday bought me the Elsweyr collectors edition where I got Elsweyr, Summerset and Morrowwind collectors items all for 80$ and a month of ESO plus. So being able to wear my glasses would be nice so I can actually play the game and enjoy the new things I just got. Awww. I'd like to see pictures. What kind of nice things? I just went clothes shopping in the 'Gaia' market. My character's got a couple more complete outfits. They've finally made a way to take things OFF the wishlist. I bought 6 of them yesterday after saving up 250 leaf tickets which is the premium currency in the game. You get them from finishing certain things. I got the dress but not the wings or the hair thing. Otherwise still no idea what to do to get her to look nice. Still figuring that part out. I haven't changed her look yet. Wanna figure things out then go and do it all. Oooo they got a way to remove things off wishlist finally? That's great to hear. I've been playing ESO lately. 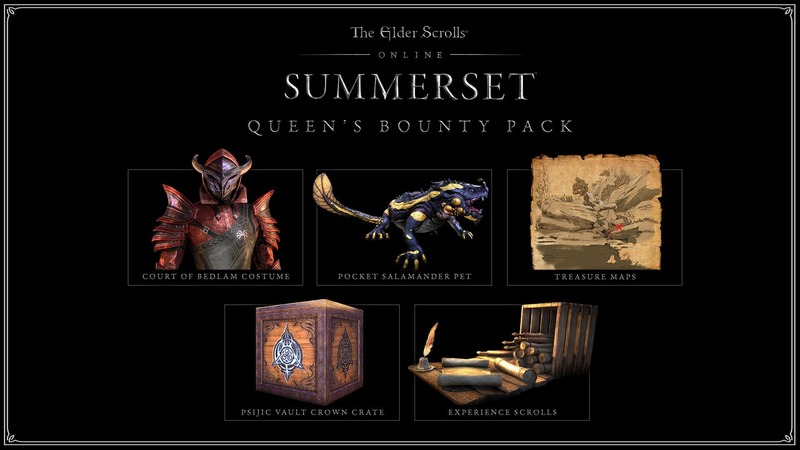 I sent links to images of what you get in the Summerset and Morrowwind collectors editions. The $80 one is the one I got and there's images of the cool things you get. Like a new outfit for Khajits and I really like it. Ohhh, the Summerset link won't work. The other items all look really nice. I like the armoured warhorse and the giant kajiit. I'm slowly going through Summerset right now. Taking my time to do everything and get all the achievements I can get without having to be in a party. Slightly dead in my head at the moment, Symphony refuses to let me pick her up to pet her. >.> Her meowing at times drives me nuts, especially when I just get up in the morning. I played some TL2 yesterday! Been awhile since I've had energy for anything animated other than the BW2 event. Got a new follower for my main engineer, this fast moving, hideous and destructive thing called a blood zombie. She can pretty much stand there holding her glowing see through hammer and watch her minions destroy things, now. Sounds like one interesting follower. I have the Jesters event in ESO and a scavenger hunt in Animal Crossing to work on today. Good thing today is a relaxing day for me. Hopefully I can do more than the event in ESO instead of logging in for that and then I'm done. Mind can't focus on anything but that with so many things being worked on right now. I don't like to look at it, but it's very effective. And having the pet summon the minions means the minions are around most the time. Though the day before yesterday I'd forgotten that I also taught the pet how to throw fireballs and was mildly surprised to see one hurtle at something. Pet now summons that zombie, a skeleton with sword and shield who will chase after things relentlessly, heals, and throws fireballs. Oh, and I fed the pet a fish yesterday that turned it from a hart to a mole beast that can stun enemies. There were a couple times yesterday when I paused to look at the followers attacking things (character also has a little healing robot that darts around, and a little copter drone that will slow enemies, so she's got a small army going there) and couldn't even figure out or see what they were attacking til it was dead and they came running back to the character. I also hit level 90 yesterday. Is the scavenger hunt going to be hard? Are the prizes nice? I'm not bothering with the RIFT event. They seem to figure anyone below level 50 doesn't need events. Wow that's alot of pets for sure. They sound interesting though. The hunt is not too bad. And the prizes are all balloon related, not something I care for but I do it still to get the leaf tickets for making each special item. Rift sounds like Aion. All their events, all holiday events as well, can't be done by anyone who isn't max level. And they have always been like that. One thing that I hate so much. The Jesters event in ESO is going pretty well and it's cute. Today I'm going to try to do the achievement for throwing pies at the royalty in the game. I finally finished modding Sims4. Now I can finally take the time and work on Dragon Age Inquisition. Something I've been waiting over a week to do. LOL Those aren't even all the robots she can build. They're just the ones that stay around til dismissed or til she goes to another screen. There's also a mobile turret on four buggy legs and a huge punching bot. Well, I DID manage to get a couple prizes from the Christmas event at different years. And from another that I can't remember which one it was. LOL That sounds like fun. And the current event in 'RIFT' is carnival. Oh grats. And LOL the end to waiting! Wow that's kinda nice that you can build so many different summons. Nice to be able to choose for the area or fight you might have to do. I have like 2 more things to make for AC Pocket Camp and one costs 120 gyroids and the other costs 200. The gyroids are what you have to search each area for and I'm not doing that bad with it. Well the modding is done and it's not as fun or easy as Skyrim is. With Skyrim or Sims the mods are standalones which means they are added to the game but DAI are overrides, so anything you get is overwriting something in the game no matter what. >.> Not that fun so I picked bug fixes and enhanced textures for certain things and grabbed two hairs that overwrote something that I didn't care for at all. Today I'm going to test out My Time at Portia and see if it's a game I might want to purchase in the future. And hubs wants me to play Final Fantasy Dissidia free version with him to see if it's a fighting game we can purchase in the summer sale so we have something different to play together. So at least I'm slowly getting to that point by going through everything slowly but surely. Yes. I find it can be fun to be overpowered. Here she is. https://i.imgur.com/pNE6jPe.png You'll have to paste the link in the browser, because of Zan silliness. Yeah, they're just little cosmetic things mostly, two cosmetics and a little vanity pet Christmas lamb. This character's got the thing to put on her weapon to make it trail holly leaves and berries as she runs. I get a kick out of it. Awww. Yeah, overrides can be a little spooky to do. At least for me. I'm afraid I'll wreck something. Thanks, I just have one more item to make and I'm done with the event. Woot! Thanks. I know the ESO event is running til April sometime so I do have sometime to get another berry or the pet at least. I hate doing overrides since DAOI is a older game, it's a bit more scarry. I'm just hoping it all works out for me. And I can finally test out My Time at Portia, this time the game will run for me. And hubs and I played Dissidia as well a bit yesterday and I'm slowly getting the hang of the game. So when we buy the game I play the girls I want to. Right now I'm using Terra and she isn't too bad at all.